It is hard to believe that it is already February. I had intended on giving you an update on how my No Spend January went, but I ran out of time before I even realized it. So a quick update on how the month went. At the beginning of January, I really didn't take the no spend challenge seriously. Now that's not to say I spent lavishly on things we didn't need, but I also did little to reel my spending in. That was not the case for the second half of the month. I looked at our budget and our bills and realized that the spending had to be shut down for the rest of the month in order to get the bills paid. 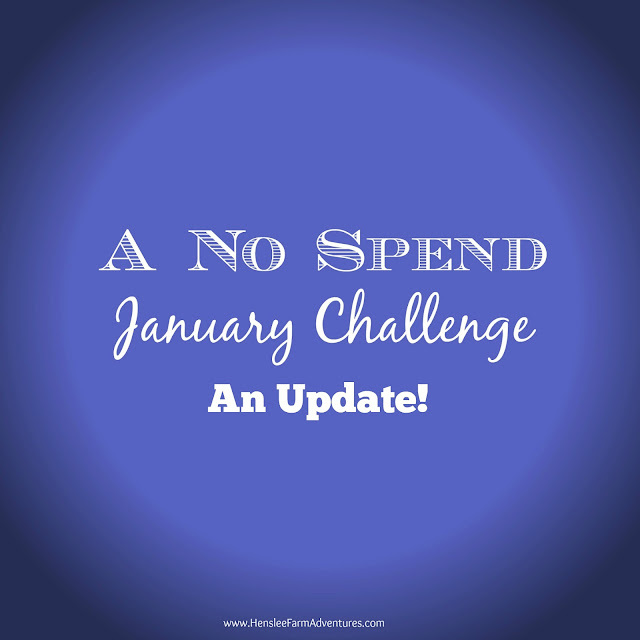 January is always a difficult month for us with it being right after Christmas and taxes. There was absolutely NO spending for the last two weeks of the month. I started making things from scratch. We started eating out of our freezers and pantry and made do with what we had. We made it through the end of the month and we were able to pay all of our bills. As for February, I plan on keeping my spending down and I also plan on buying as little groceries as possible. Our freezers are packed to the brim with food and so is our pantry so I really don't think that we will starve. I need new tires and I have to get them this month, so our extra money will be going to that purchase. The other project that we started in January was to clean, organize, and declutter. We started off great, but it soon got derailed as we decided (during a no spend month, mind you), to enlarge our master closet. We are still in the process of working on it drywall soon to come, so I started cleaning out cabinets to keep up with our decluttering process. If you remember we had cleaned our entry closet and our pantry. Well, I have a corner cabinet in my kitchen that needed major decluttering, so I decided to tackle that this weekend. It may not look like it, but I did take items out and throw out old stuff. This is my go to cabinet when I cook. With this cabinet I now know what I have, and where it is. No more rummaging around looking for things. It feels so much better to be able to have this organized and will help to cut down on my cooking time. 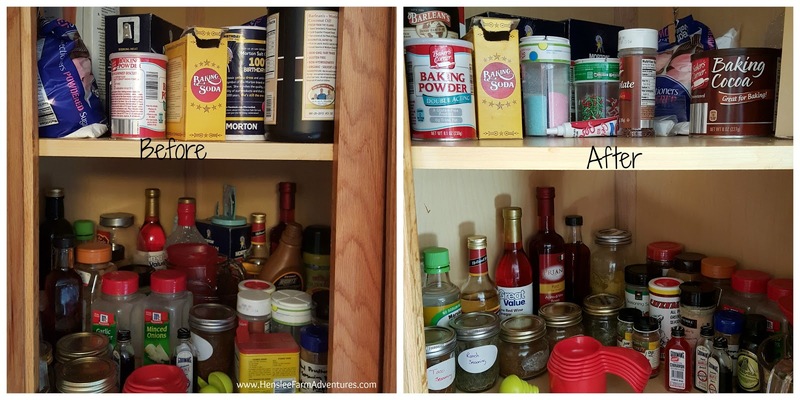 I do have a separate spice cabinet on the other side of my stove that is just spices. That cabinet will be next. I know I have some spices that are outdated that need to be thrown away. It feels so good to get these little things done. As for February, I will continue to curb my spending and I will be sharing with you some of our favorite meals that like to make. I look forward to sharing a Cheeseburger Salad recipe with you on Thursday!